In School District No. 46 (Sunshine Coast), we are committed to working closely with Aboriginal people and other partners to build the means and capacity to improve educational opportunities. Accessibility, Diversity and Equity of Opportunity. Public education on the Sunshine Coast is an authentic reflection of our unique local communities – yet also reaches far beyond. We ensure that every student has the support, resources, options and teaching in order to realize and reach his or her full potential. The cultural diversity of our students, staff and communities is an asset to be treasured and respected in our schools. We feel honoured to operate on the territories of the Sechelt and Squamish Nations; to have First Nations, Métis and Inuit students and their cultures present in our schools, and to work together for all students' educational needs and values. Most importantly, the school district recognizes the desire of Aboriginal families and communities throughout the Sunshine Coast to undertake full participation in developing educational programs for children and youth within the public school system. As a result, the School District works with the shíshálh (Sechelt) Nation and the Skwxwu7mesh uxwumixw (Squamish Nation), and also continues to develop a district-based Support Service which reflects the needs of the broader Aboriginal community. 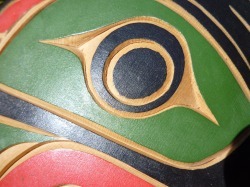 The District Aboriginal Programs and Services staff consults directly with the families living on the Sunshine Coast who do not have a local organization or band to speak for them, but who have self-identified as being of Aboriginal ancestry. District Aboriginal Programs and Services staff also consult regularly with members of the Aboriginal Education Advisory Circle.